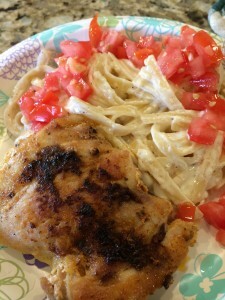 So my previous post about Blackened Cajun Chicken with the Fettuccine Alfredo needs the Cajun Seasoning listed. 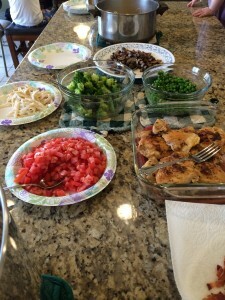 Don’t stop there, this mix can be used for all things Cajun! 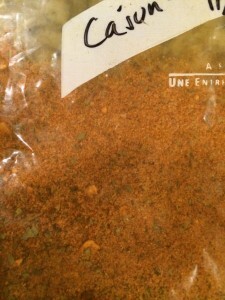 I use this in my Gumbo. Sometimes I just put a little on whatever needs a creole kick in the pants. And it makes a lot, but a little goes a long way. And it stores well for several months in a tightly sealed jar or freezer bag. So what are you waiting for?? Go make some and enjoy it! Cajun spice mix, a little goes a long way. put all spices into a zip top freezer bag and combine well. Who isn’t a fan of Fettuccine Alfredo? It’s creamy, cheesy, warm, and delicious. And it is such a simple perfection; how would you improve on it? Easy. Let people do with it as they want to. 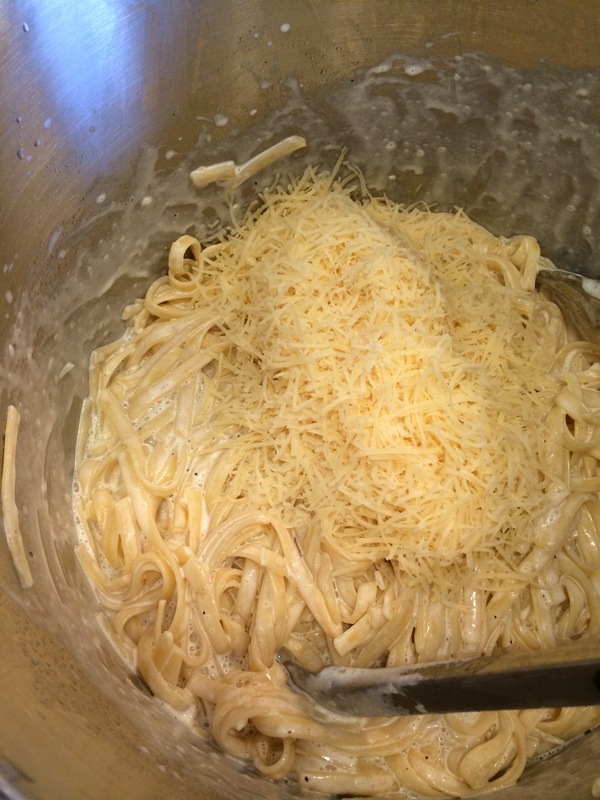 Set out bowls of anything you can imagine would be good with Alfredo, and let people mix it up as they want. Peas, broccoli florets, bacon crumbles, sauteed mushrooms. My mouth waters just thinking about it. But my favorite is always Blackened Cajun Chicken thighs and tomatoes. Let the creamy Alfredo cool off the spicy cajun seasonings, with some ripe tomatoes to bring it all together. To over simplify the experience, it’s awesome! 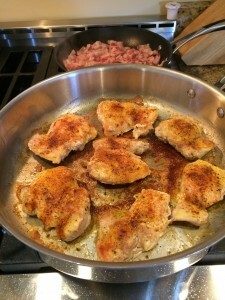 Start by mixing up the cajun spice blend. Now chop all the vegetables that you want and put them in individual bowls. 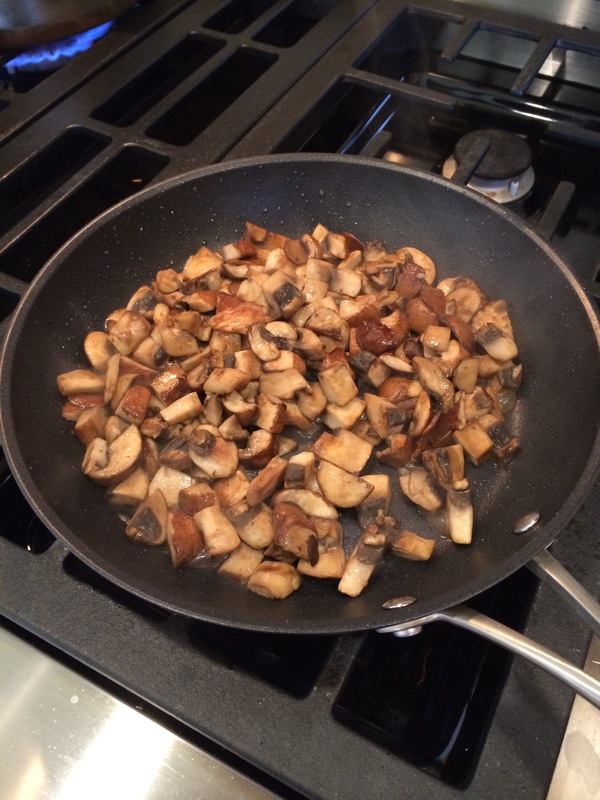 Don’t forget to saute the mushrooms (if you like the fungus)! Now make the Fettuccine Alfredo! This part is usually last, because it cools quickly, and if it sits around it can resemble glue. Don’t worry if it does that! You can plan for it! Just keep about a cup of the water from cooking the pasta, and set it aside. 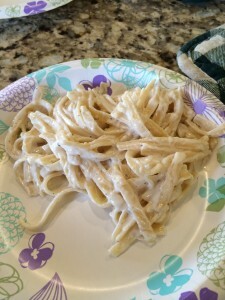 if the Alfredo gets too thick, you can add a little of the water and stir it in. Like magic, it will be perfect again! Cook the pasta. Save a cup of the water, and drain the pasta. Then you put in the butter, and let it melt. Toss the pasta in the butter. Now pour in the cream, salt and pepper. 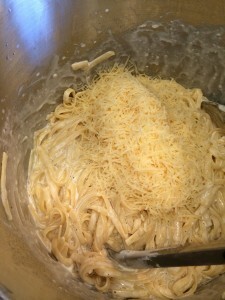 Toss the pasta in the cream. 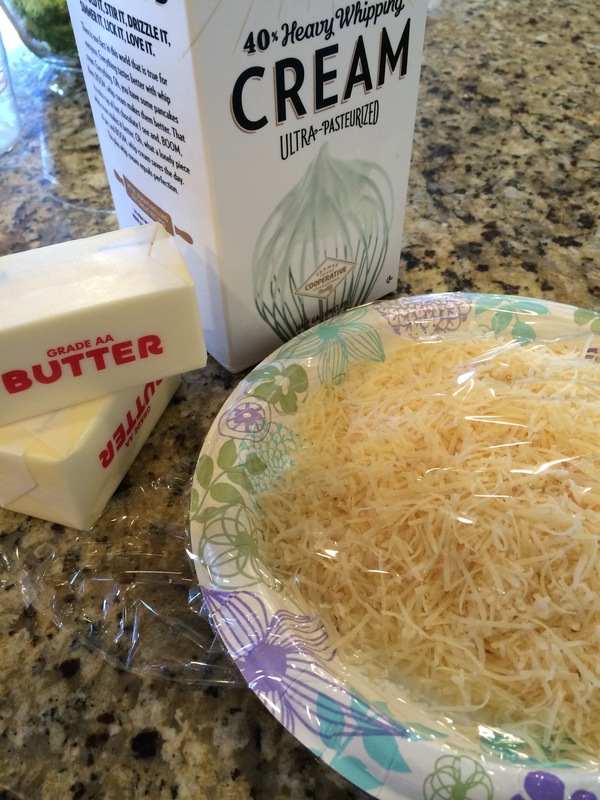 Add the grated cheese and stir together over low heat, and watch it all come together. Serve immediately, and let people mix and match whatever they want. This one is my favorite. You should go find what is yours. Classic creamy Italian comfort food. Add butter to the hot pasta. Allow to melt, and stir together. Add cream, salt and pepper. Stir together. 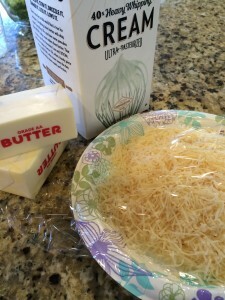 Add Parmesan-Reggiano Cheese; gently stir together until it forms a cream sauce. If sauce becomes too thick, add some of the water and stir.